Check out Vapes of Wrath's full range of Vaporizers. Dry herb vapes are becoming increasingly popular (they may also be known as aromatherapy vaporizers or just herbal vapes). We have the finest products, from all the top brands, for all your dry herb vaporizer and concentrate vaping needs! 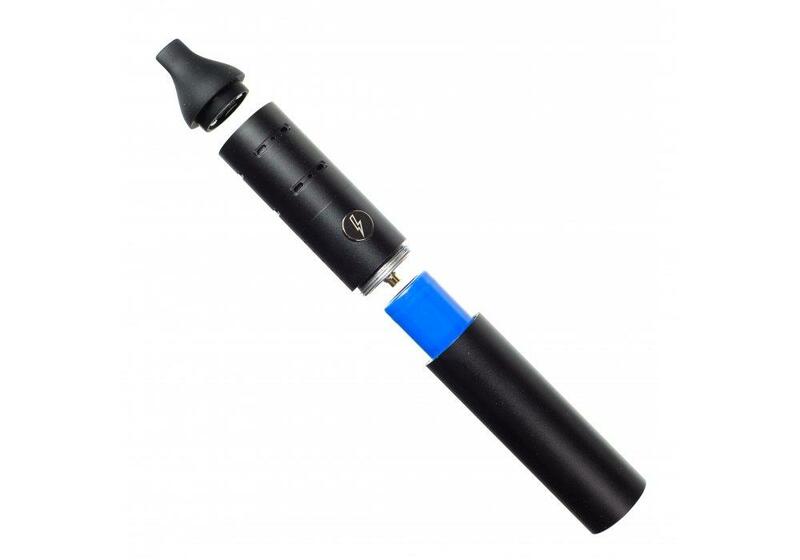 Herbal vaporizer devices are the healthiest way of enjoying your favourite herbs. Buy ANY of our top quality vaporizers and you will never look back! The main advantage of using a vaporizer for herbs, rather than smoking herbs by burning, is that a good vaporizer does not burn the herbs at all, but gently heats them instead. 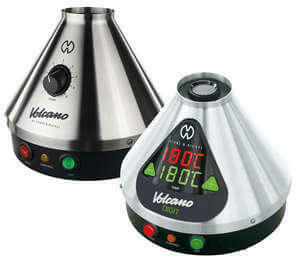 A true vaporizer will only heat up you herbs and there will be NO COMBUSTION! This not only prevents the taking in of carcinogens that burning and smoking produce, but also provides a far less harsh experience in comparison to smoking. The health benefits cannot be overstated and, as when cigarette smokers switch to e-cigs, using a vaporizer will often have an immediate effect; vaping herbs will not adversely affect your chest in the same way as smoking and, if you switch exclusively to vaping, you will probably find that you feel much healthier the next morning than if you smoked your herbs. So what is the "best" vaporizer? Well there is no correct answer to this, as the vaporizer you should choose depends on a number of factors. 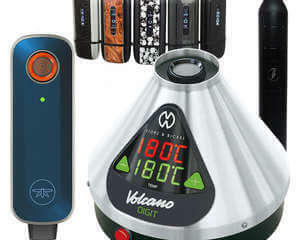 The best desktop vaporizers (plug in vaporizers) are extremely effective but are not portable and some, such as the volcano vaporizer for example (hailed by many as the world's best vaporizer), take up a fair bit of room. Not a problem if you do most of your vaping at home, but if you wish to vape herbs "on the go" or just don't have the space, then a portable or pen vaporizer may be the best choice. Also, budget is a factor. The priciest will have more features, such as digital display, Bluetooth phone apps, the ability to vape dry herbs, oils and concentrates etc. Also, some vaporizers can be used to vape oils, concentrates and resins, as well as dry herbs. So if you want to vape concentrates etc., please check that the vaporizer you choose is capable of this. But ALL our vaporizers are high quality and will not burn your herbs. So, if you just fancy dipping your toe into herb vaping, or want something that you can carry around with you without worrying too much about losing, then an inexpensive vape device like the Black Mamba or the Storm vaporizer pen may be a good choice. Basically, while you could categorise these sort of devices as a "dry herb vaporizer for beginners", they are still very effective and are true vaporizers. All our vapes are true vaporizers and do not burn or combust. So, if you want to just try vaping without too much cost, then one of our more affordable options may be for you. But, if you have a bit more money to spend and want all the bells and whistles like precise temperature control, Bluetooth capability, versatility and stunning design, then we have the latest models from al the top manufacturers such as Storz and Bickel, Arizer, DaVinci, Pax and Firefly. 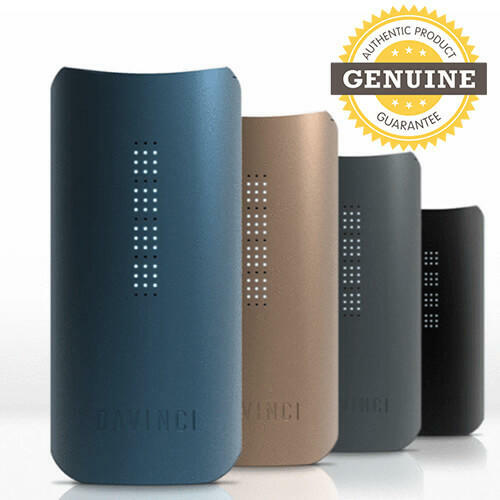 The more expensive vaporizers will also utilise more sophisticated technology, for example often using convection rather than conduction heating. "Convection" means hot air is passed over the herbs to release the vapour, rather than directly heating in a ceramic "oven", which is how conduction works. This can result in greater efficiency, as convection will extract more of the active ingredient, with less being wasted. One advantage of conduction vapes, however, is that they will generally heat up and be ready to use more quickly. This is not always true, however, and some convection vapes such as the Firefly 2 also heat up very quickly.